Dean Jennifer Rosato and the NIU College of Law have welcomed six new distinguished members to its Board of Visitors. 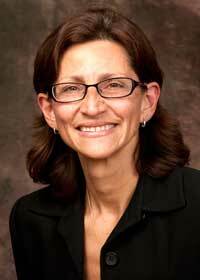 Denise Schoenbachler, dean, NIU College of Business. Rosato said she is excited to work with the new members. The new members were appointed to a three-year term and will attend the fall meeting of the Board of Visitors, scheduled Saturday, Oct. 26, at the NIU College of Law. The meeting will be held in conjunction with the dedication of the Kenneth and Ellen Chessick Practice Center. Board of Visitor member and NIU Law alumnus Ken Chessick (’84) and his wife Ellen were the lead donors of the new indoor training cnter. The 83,500-square-foot facility will house a full-size football practice field, four-lane track, batting cages and other features to allow for multi-sport use throughout the winter. Established in 1992, the Board of Visitors serves in an advisory capacity to the dean. The board also assists in developing strategies for enhancing the reputation, resources, and financial support of the College of Law and provides a link between the college and the legal community.